One form is the Body Exhibition with its focus on investigating the body as a kinetic object which expresses outward as well as inward energy, based on Takeya’s observations as an inspector. 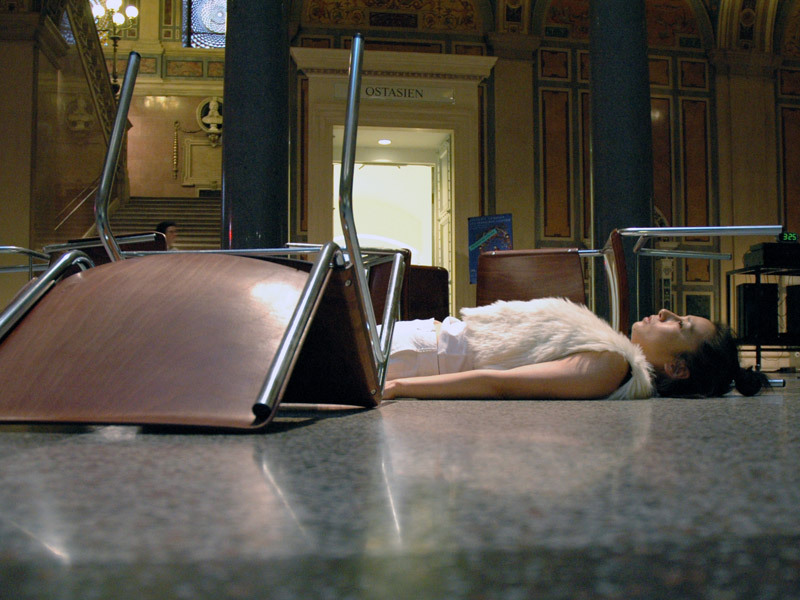 The second form of presentation is a Performance which was developed in close co-operation between Akemi Takeya and Ulf Langheinrich, and which deals with the flow of time, an excerpt of Takeya’s performative work during the body exhibition. In this performance, Takeya‘s movements and Langheinrich‘s audiovisual environment from the beginning to the end follow a strategy which creates a state of timelessness.